YWAM Belo Horizonte is throwing an event and YOU are invited! The purpose of this event is to celebrate the 25th birthday of YWAM Belo Horizonte and to raise awareness in the area of human trafficking, mobilizing people to bring an end to this injustice occurring in the world today. Conference with international speaker, David Batstone (author of the book- Not For Sale), Kevin Austin and the Not for Sale team. Backyard Academy Workshop - A seminar on how to stop human trafficking, led by the Not for Sale team. Read more details about how YOU can come to Belo Horizonte, Brazil to participate by clicking here! My husband, Felipe, is a part of the team of missionaries organizing this event. Please be praying for them as they have much to do in the next month as they are preparing for this special event. 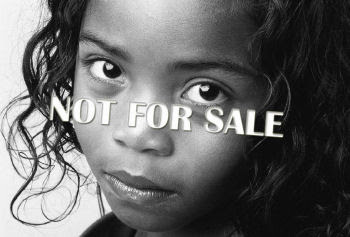 Recently, I decided to educate myself a little more in the area of human trafficking so I have been reading the book Not for Sale by David Batstone. 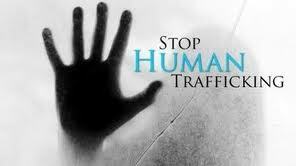 In the book, Batstone writes about the current problem of human trafficking and modern-day slavery. He also tells incredible stories of courageous people who are fighting to abolish this epidemic all over the world. 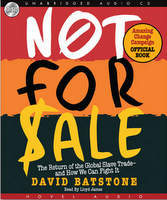 Batstone also started the Not for Sale Campaign which, "equips and mobilizes smart activists to deploy innovative solutions to re-abolish slavery in their own backyards and across the globe." Check out their amazing website at: www.notforsalecampaign.org. This film is quite strong... It is a wake up call to prayer and action. Let's pray for those imprisoned in this life of slavery and learn how we can take a stand and fight against human trafficking. "He makes plants for man to cultivate..."